Life is insane. I'm listening to Gary Numan’s first record from his first band Tubeway Army, thanks to Halt and Catch Fire, which is not only bringing back crazy early computer memories but has a really incredible weekly soundtrack. Not the usual stuff you always hear from the ’80s really smart, interesting choices. 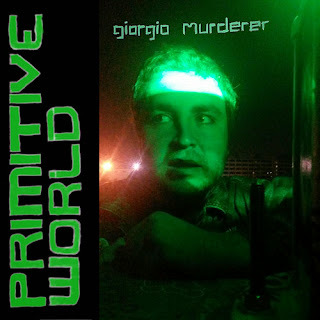 Literally just got it in the mail and sat down to check out this A-Side from Giorgio Murderer and it turns out this is a side project from Buck Biloxi (of the fucks) but it’s sounding eerily like a lot of that area right between post punk and new wave. "Primitive World" starts with a stick count off into fast as hell jangly, scraping guitars from a neon laser grid universe. It’s a dark future, but not the one with the terminators and all kinds of advanced technology but one where all that’s left are broken casios and guitars with no strings and barely a way to capture them on cassette. I also can't help but think of Destruction Unit and Jay's side project electronic stuff. I love the vision of the future that’s scrappy and full of contradictions like this. It's fun not too serious but isn't 1984 either. I guess it is in it's own way foreboding way. 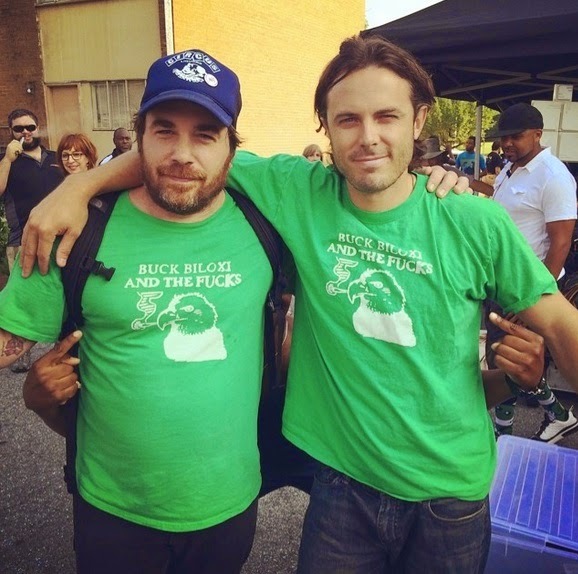 I also appreciate Buck would be messing with stuff so completely out of his wheel house, the exact opposite of the Fucks. Really great, only heard this one sound cloud track but you can also watch this video my friend Tim shot for a Buck and Giorgio split while your at it. Get this from Goner Records.